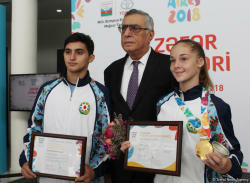 Azerbaijani gymnast Yelizaveta Lusan is proud that she has represented Azerbaijan at the 3rd Summer Youth Olympic Games in Buenos Aires, as the athlete told Trend Oct. 25 after the ceremony of honoring of the Azerbaijani athletes - winners and participants of the 3rd Summer Youth Olympic Games held in Buenos Aires. The event was held at the National Olympic Committee (NOC) of Azerbaijan. 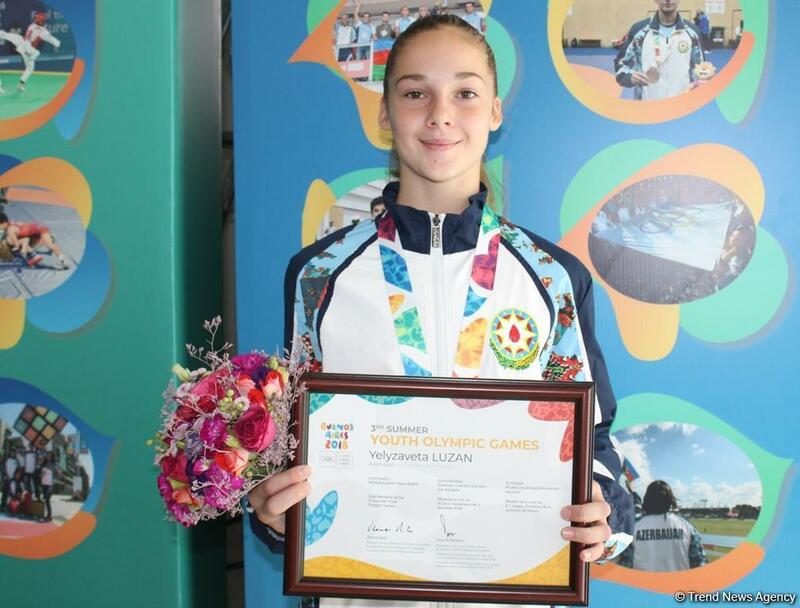 Luzan won the gold medal in the competition of mixed teams at the III Summer Youth Olympic Games. "When I got up on a pedestal, I felt a great sense of pride in Azerbaijan. 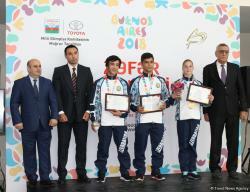 Representing my country at the Youth Olympic Games is very responsible, exciting. I dedicate my gold medal to our country and the Azerbaijan Gymnastics Federation. 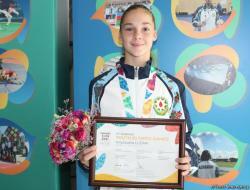 I want to thank the Gymnastics Federation for creating the best conditions in the world for athletes,", the gymnast said. Luzan also stressed that she dreams of representing Azerbaijan at the Olympic Games for adults in the future.